BY ROBERT F BROGAN & BERNARD A KROOKS The community of individuals with special needs and their family members will have at their disposal a new tool with which to maintain a private fund of assets while preserving certain government benefits. Following years of national grassroots advocacy efforts, the community of individuals with special needs and their family members will have at their disposal a new tool with which to maintain a private fund of assets while preserving certain government benefits. On December 19, 2014, the President signed the Achieving Better Life Experience Act, commonly known as the ABLE Act. The Act, modeled after Internal Revenue Code Section 529 Plans, provides a mechanism to fund an account in the name of an individual, and allow the funds in that account to accumulate income tax-free. More meaningful than the tax benefit is the new-found freedom given to a person with disabilities, who can retain public benefit eligibility while controlling assets in excess of the $2,000 SSI and Medicaid resource cap from one month into the next. 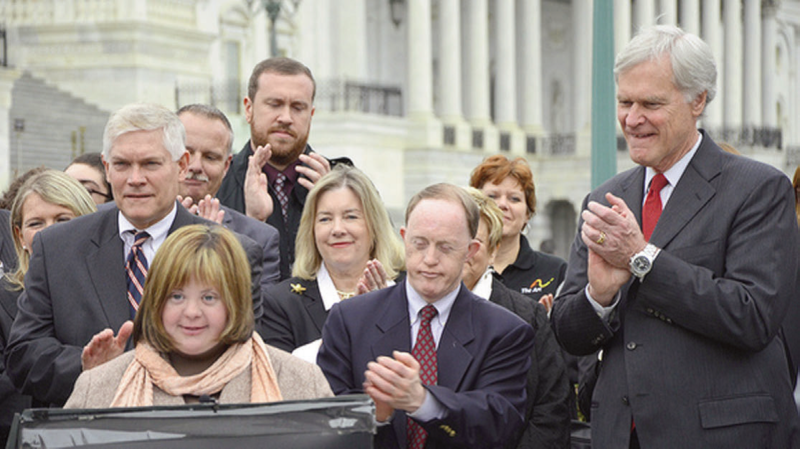 ABLE was first introduced in Congress in 2008. As originally drafted, the Act amended Section 529 of the Internal Revenue Code and provided for thresholds tied to that section’s permitted amounts in each state. This meant that, in states with high Section 529 limits, a person could potentially have funded their ABLE Act Account with hundreds of thousands of dollars. Advocates wanted a simple and easy way to provide independence without having to place those funds in trust, and without the need to hire professionals or have court intervention. But, as is typical in politics, the anticipated costs for such an approach exceeded the political will to pass it in its original form. The bill was amended several times over three different congressional sessions, while continually gaining bi-partisan support of a vast majority of the members of both houses. The most dramatic changes occurred during the mark up of the bill at a committee hearing in July of 2014. Fiscally, those amendments reduced the anticipated expense of the bill by $17 billion. providing far more limited benefits than many with special needs, their families, and advocates had originally hoped. WHAT DOES ABLE ACTUALLY LET A PERSON DO? the ABLE account are capped at each state’s limitations for 529 accounts and the first $100,000 in an ABLE account will not adversely affect the individual’s eligibility for SSI. So long as you only use the funds in that account for permitted government approved disability-related expenditures, the account will be permitted to accrue value income tax-free. On the death of the beneficiary of the ABLE account, funds remaining in the ABLE account must first be used to repay the Medicaid program for expenses incurred. This is very similar to a first party SNT. First party SNTs are funded by a person’s own assets and (other than pooled trusts) must be created by a court, a parent, grandparent or guardian. In contrast, third party SNTs are created by someone other than the beneficiary with disabilities, and the assets going into the SNT are those of the third party, not the beneficiary. Third party SNTs are the most common tool utilized by special needs planners for individuals with special needs and their families. The singularly most important difference between a first party SNT and a third party SNT is that under a first party SNT, if there are any funds remaining in the trust at the time of the beneficiary’s death, then the federal and state government must be named as the primary remainder beneficiary. The government effectively seizes those funds to repay the amount of Medicaid (but not SSI) benefits allocated to the individual during his or her lifetime. The final figure repaid to Medicaid could wipe out the amount left in the first party SNT, leaving nothing to the surviving family members. With a third party SNT, there is no Medicaid payback requirement. The trust funds can pass to another family member or whomever the creator of the trust originally intended, rather than going to the government. Unfortunately, the ABLE Act accounts mimic first party SNTs, meaning that they require a Medicaid payback. This holds true even if the money contributed to the ABLE account came from a parent or other third party. This is a major distinction between an ABLE account and a third party SNT, which has no Medicaid payback. Thus, in many family situations, a third party SNT may be a more useful and appropriate tool than an ABLE Act account. ABLE Act accounts were supposed to reduce the need for court intervention and to make it easier for individuals with special needs to increase their independence while retaining more funds in their own names. Simplicity was the goal. But Congress’s limiting the contributions to $14,000 per year and requiring proof of disability onset by age 26, changed the dynamic entirely. Most inheritances and lawsuit awards, which previously created the need for an SNT, will still require an SNT going forward. Further, there are complicated rules as to permitted expenditures. If funds are not managed and spent properly, both the tax benefit and the Medicaid eligibility may be lost entirely. Simplicity was not achieved. Those receiving public benefits and their loved ones must be diligent in preserving their benefits. In some situations, an ABLE Act account will be another tool towards that objective. Robert F. Brogan and Bernard A. Krooks are members of the Special Needs Alliance (SNA), a national non-profit comprised of attorneys who assist persons with disabilities, their families and the professionals who serve them. Brogan is co-chair of SNA’s Public Policy Committee and Krooks is member of the Exceptional Parent (EP) magazine’s Editorial Advisory Board and a former president of the SNA. SNA plans to provide information and resources to individuals and groups to help them understand how ABLE accounts, as well as SNTs and other techniques, can be used for financial and estate planning.